The Academy provides space and set up for Consortium ED and Financial Roundtables. Their staff participate in virtually all of our programming. Their staff include graduates from the Consortium ED Academy, Board Development Academy, and Nonprofit Management Institute. Their staff serve as faculty for the Consortium Nonprofit Management Institute as well as the Financial and ED Roundtables. Their staff have served and are serving on the Consortium Steering Committee, Program Committee, Financial Roundtable Management Team, and ED Roundtable Management Team. Their staff have helped a number of Consortium member organizations with Quickbooks setup and implementation and answers to financial/operations questions. Their faculty and students provide the music for Consortium celebrations. 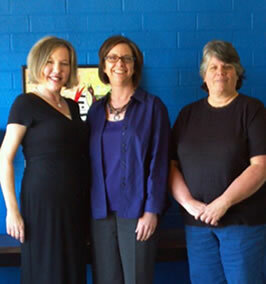 The Music Academy and its staff exemplify the Consortium values of nonprofits supporting nonprofits.